a LRAD 360Xm™ broadcast is clearly heard and understood up to a 0.6sq. km area. 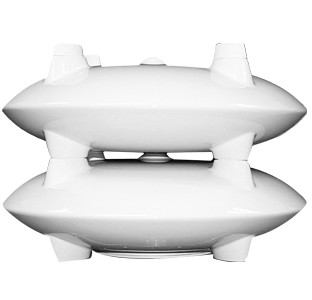 Perfect for urban areas, small campus and industrial sites, the 360Xm can be installed on existing infrastruture or buildings, light poles, etc. Brother ” the 360X . This system has been designed to meet the need for smaller areas such as courtyards, parking lots, parks & recreational facilities and multiple systems can be employed to cover larger areas if needed. The small lightweight LRAD 360Xm™ is easily deployable and does not require heavy equipment for transport . The LRAD® Streamer Kit The LRAD® Streamer allows remote communication on demand to any LRAD® system equipped with a Streamer Module. The LRAD® Streamer software allows the user to remotely operate a single LRAD® device or multiple LRAD® devices simultaneously. The Streamer Module connects to a TCP/IP network with DHCP or fixed IP address and the included software allows pre-recorded file playback, live mic playback, volume control and operation of high frequency alter tone from a networked Windows XP, Vista or Windows 3 PC system. 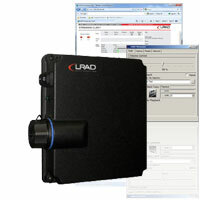 The LRAD® Streamer software works with any microphone connected to the PC’s standard microphone input and replaces the existing LRAD® MP3 Control Module. One LRAD® Streamer per LRAD® system is required to stream to multiple devices at once.